Fab haul--I'm really looking forward to reading Fateful and Where It Began :) Happy reading! Wow! Lots of great reads! Can't wait to see what you think! So many great books to read!! Good haul!! Fateful was sort of good, but I want to read Crave! Good week! 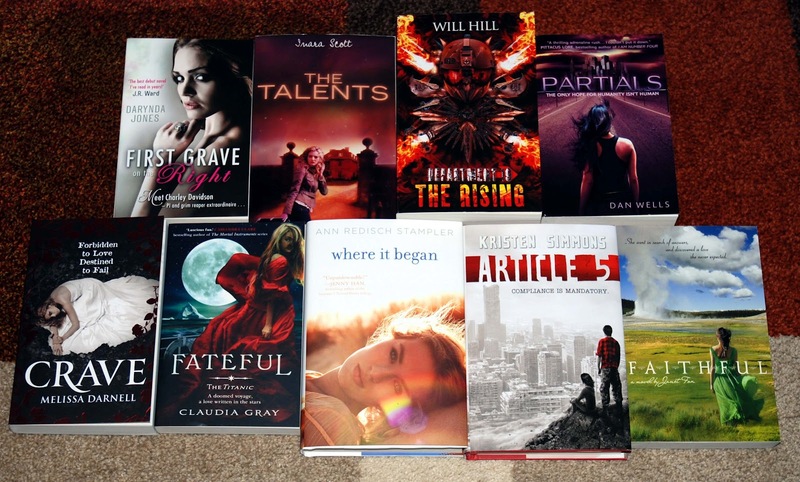 So many great Books to Review Crave and Partials look really good. Still haven't read Article 5 I keep putting off buying it. Partials looks amazing - can't wait to find out what you think of it!